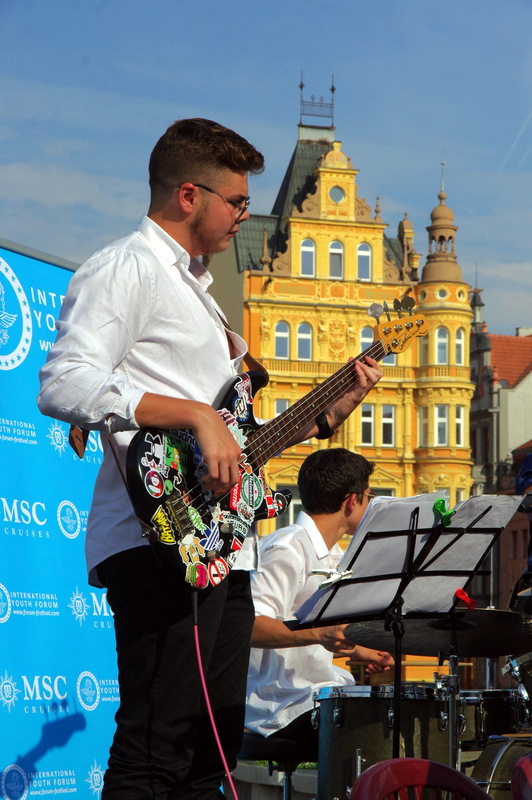 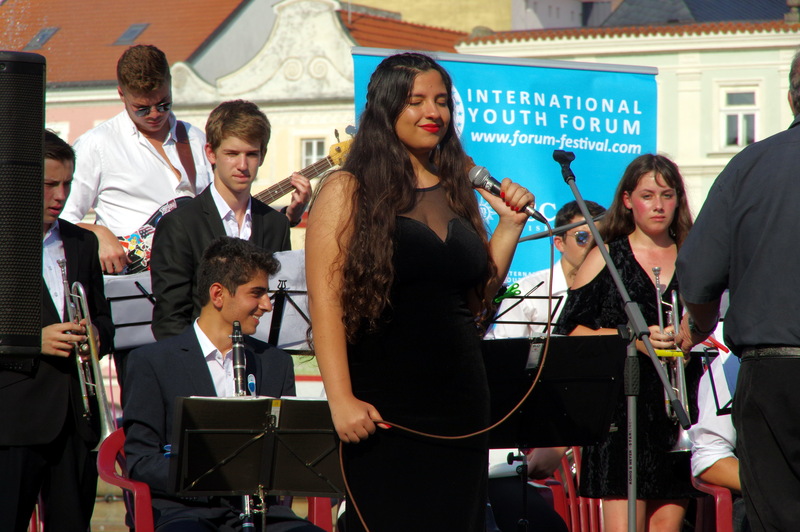 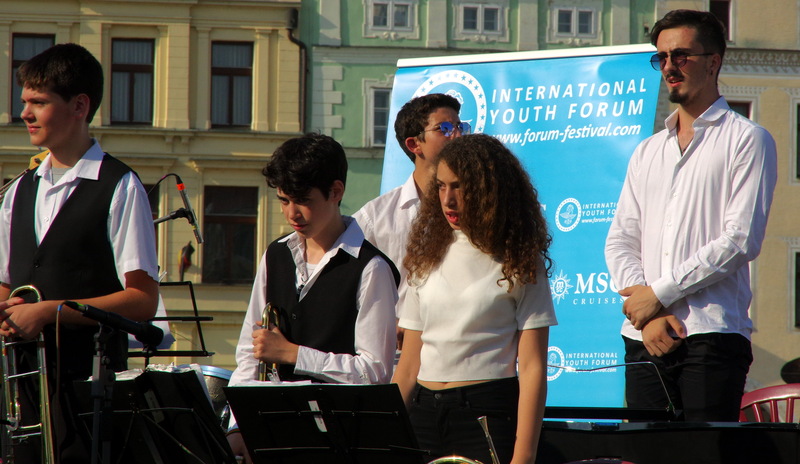 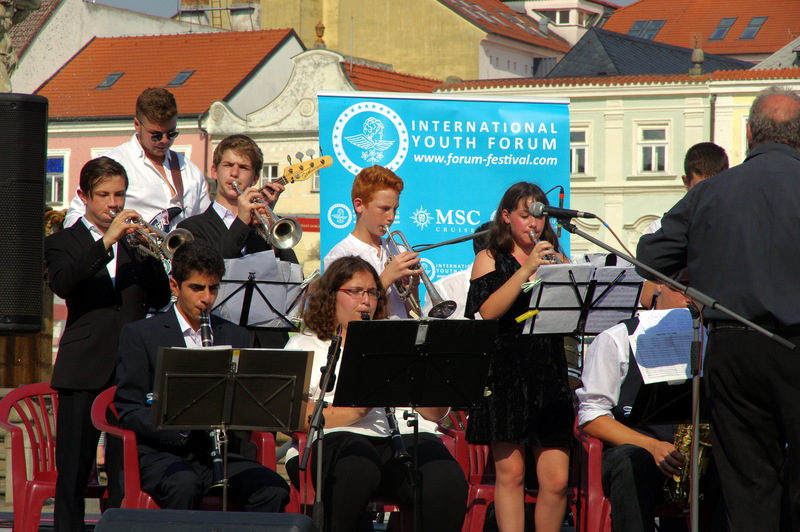 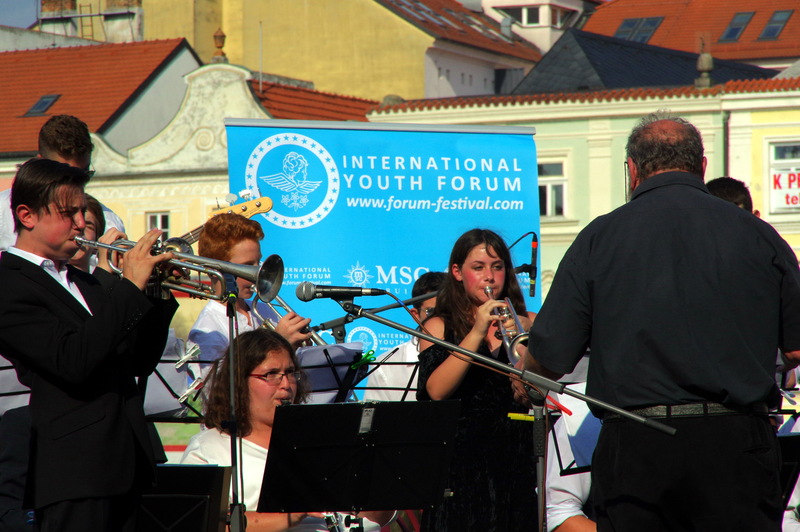 Organizátorem soutěže je mezinárodní produkční centrum začínajících umělců International Youth Forum (Velká Británie) a český Nadační Fond Mezinárodní Fórum Mládeže. 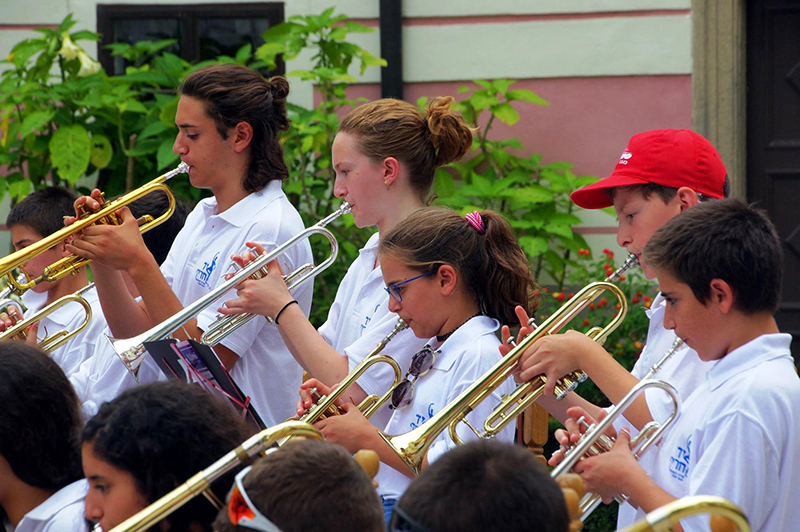 French Disneyland is a partner of our festivals. 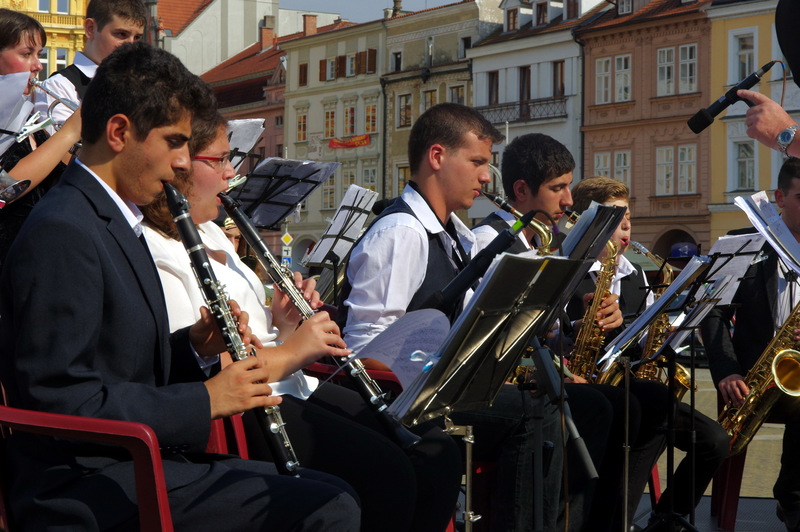 The price for transportation is determined individually in relation to the program each group. 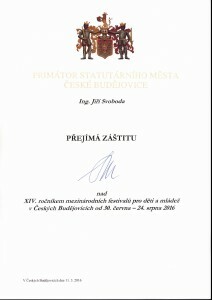 The decision of the jury is recorded, it is final and unchangeable. 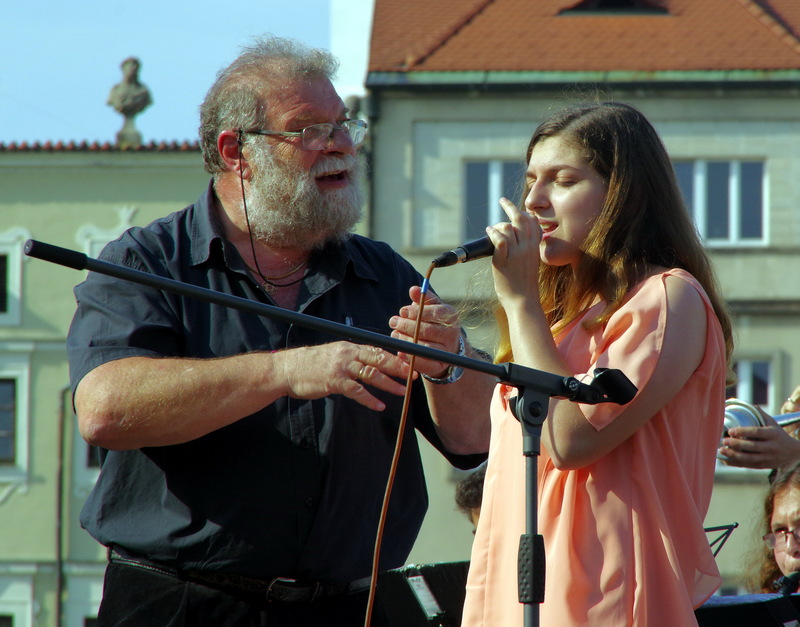 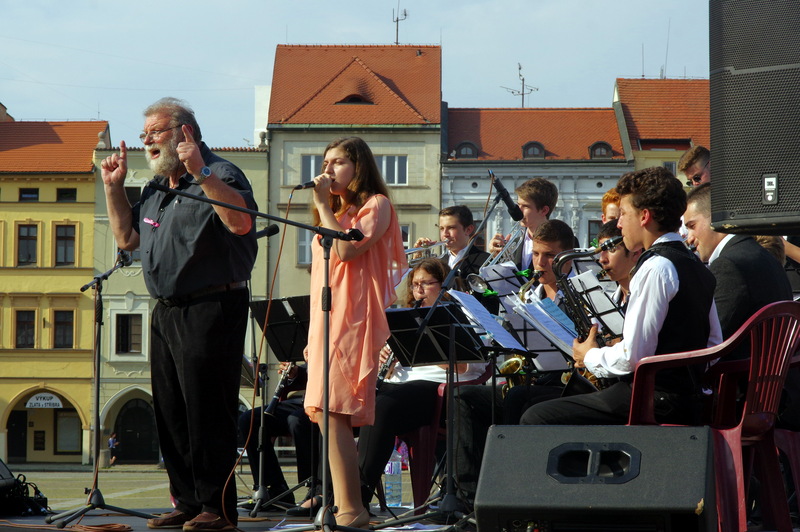 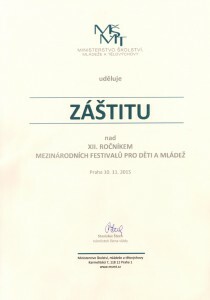 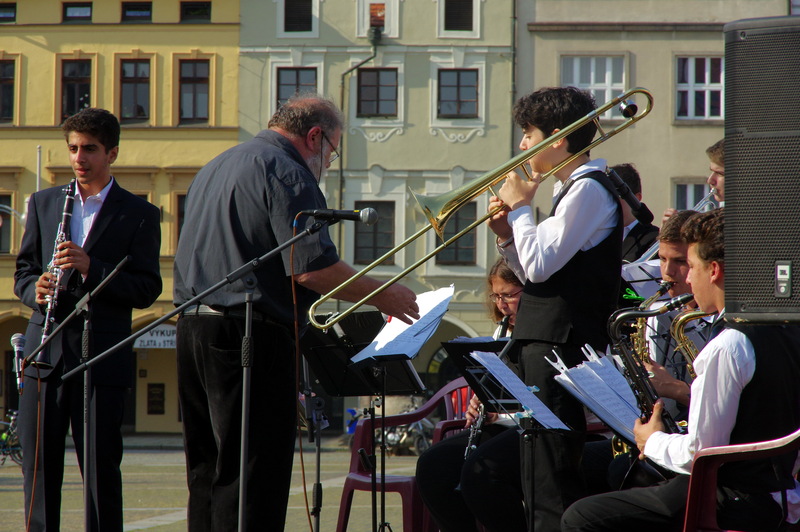 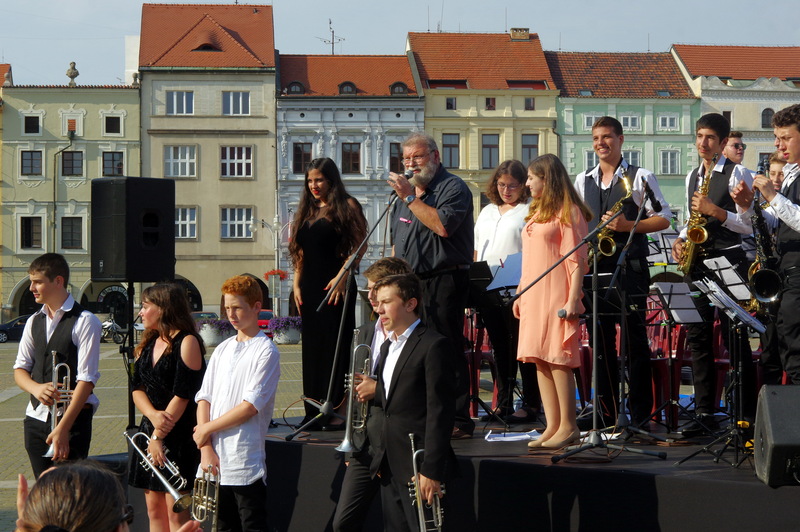 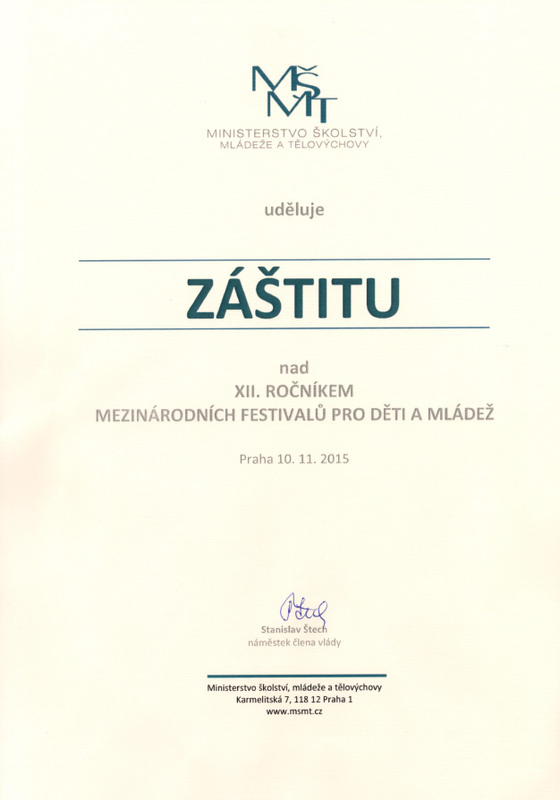 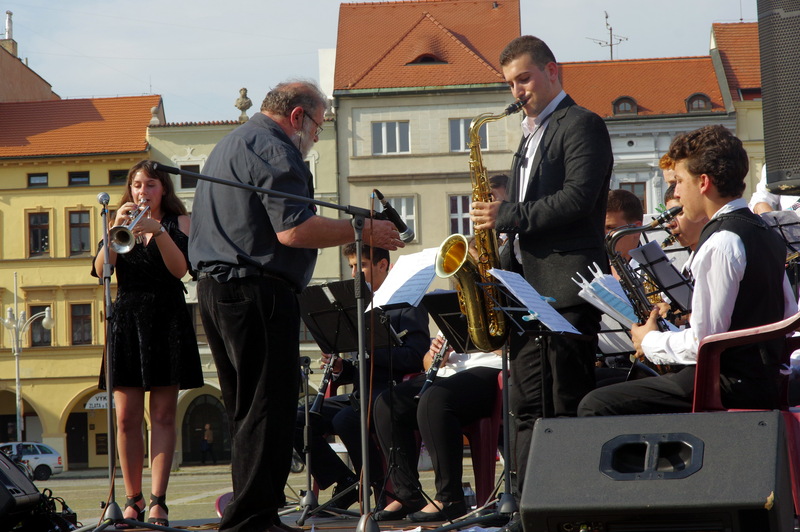 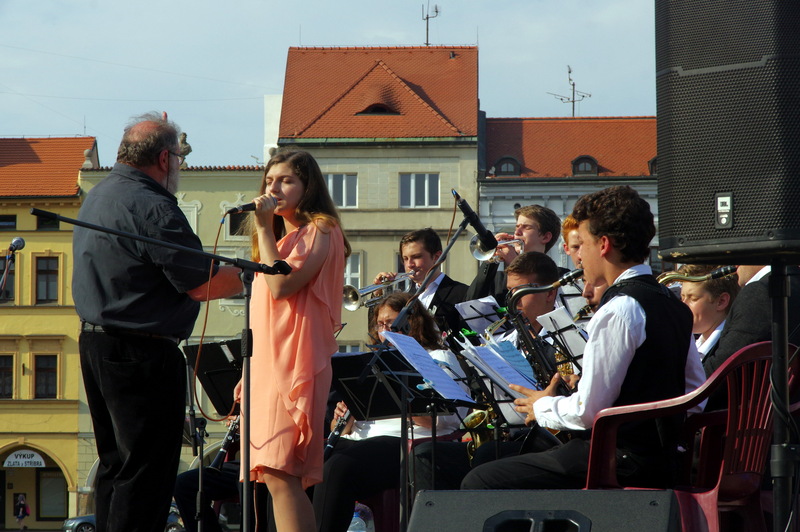 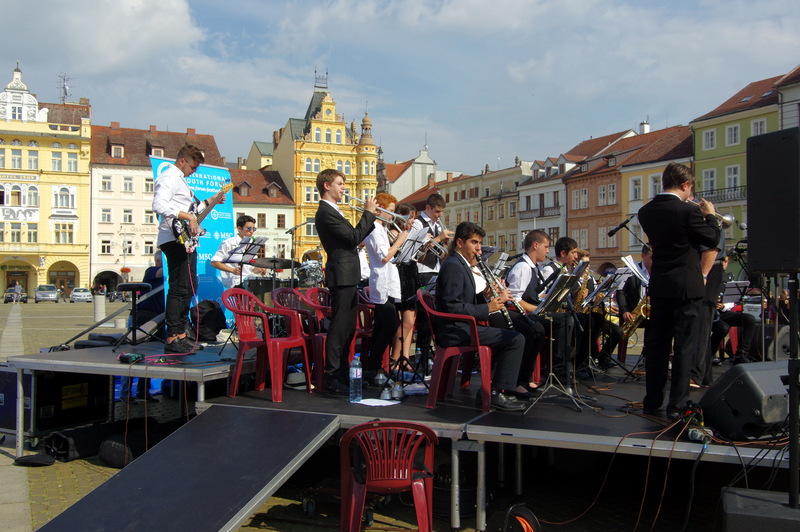 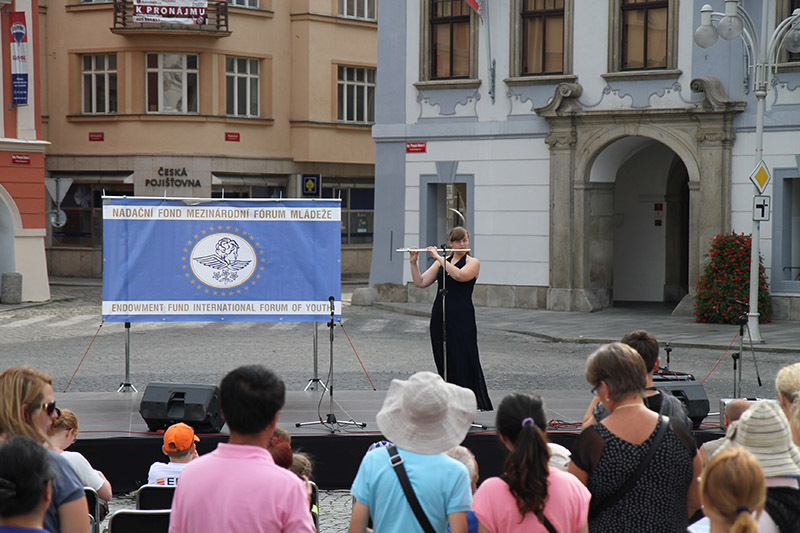 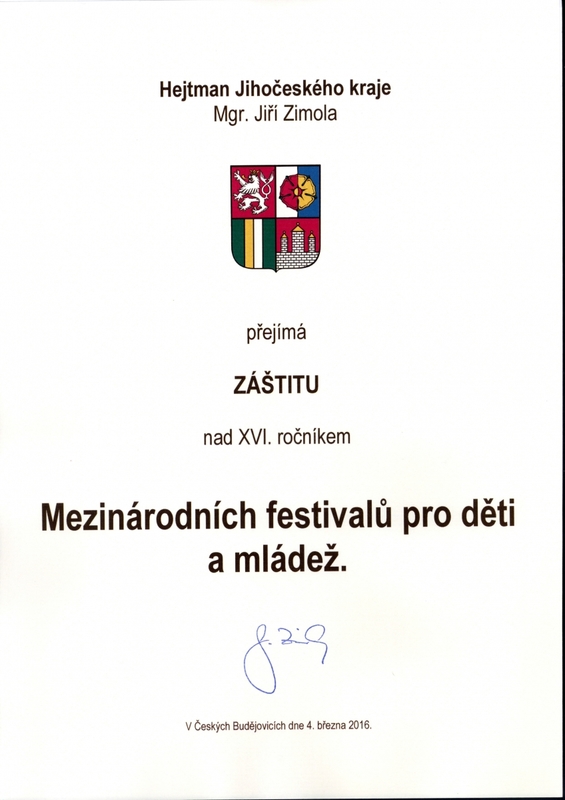 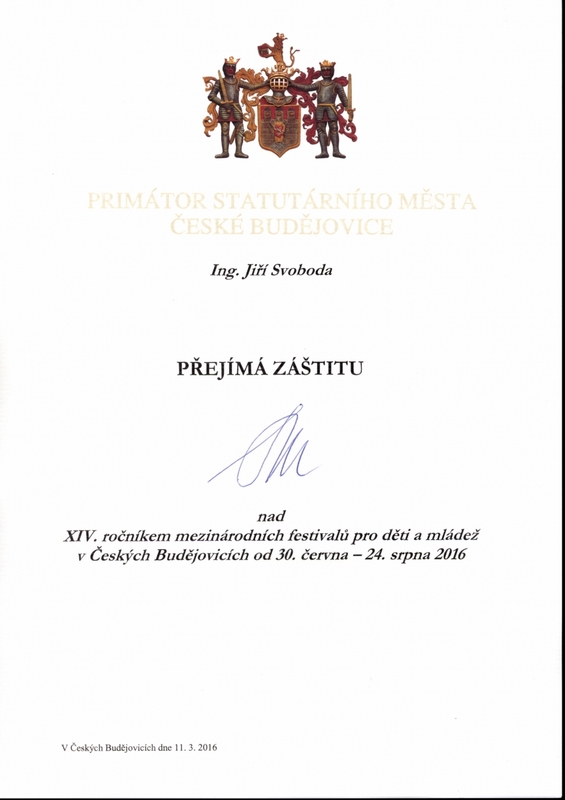 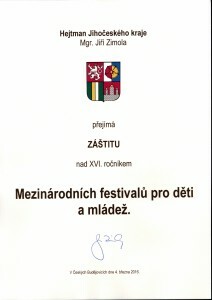 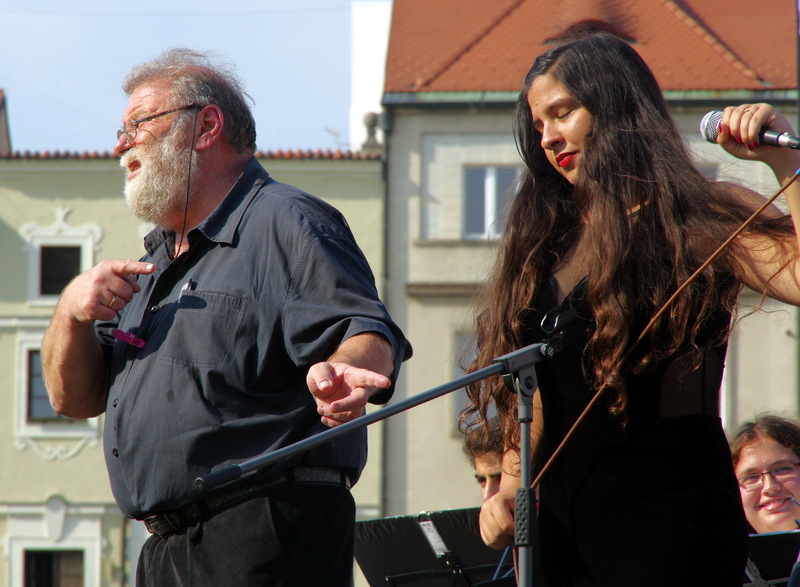 1.07.16 * XIV Festival “Metamorphosis castles -2016” has opened a solo concert of the orchestra and jazz band Yad Harif in the castle “Hluboka nad Vltavou”, Czech. 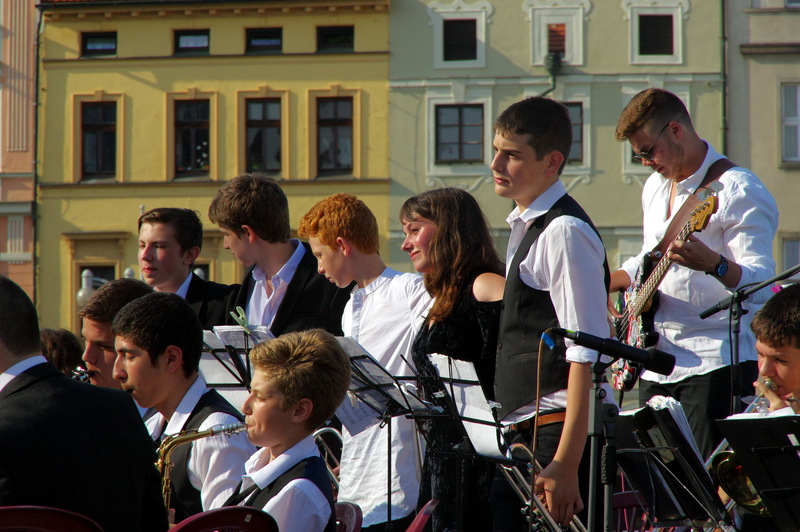 Fabulous and luxurious bailey gave a special atmosphere to the first Festival concerts. 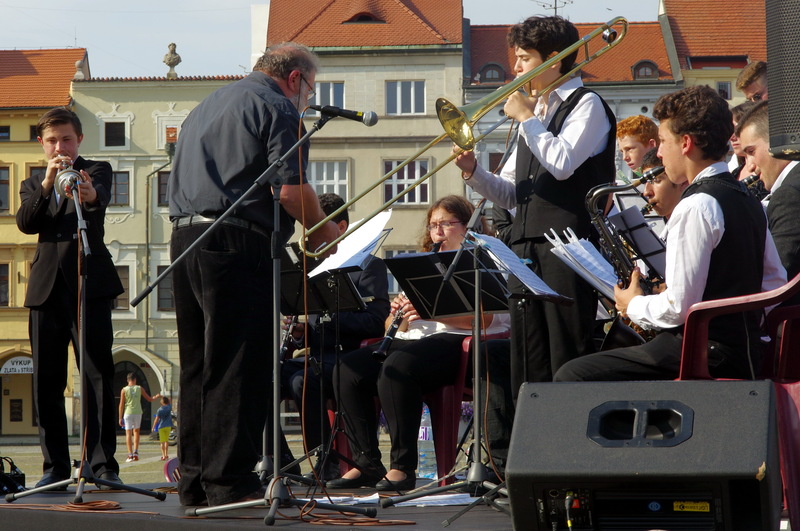 Oriental melodies, jazz and event folk stylization it sounded very harmoniously. 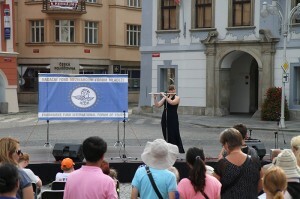 The audience, with pleasure, applauded every work, and enjoy a variety of music. 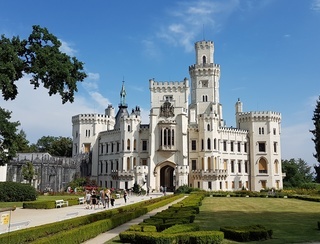 After the concert, the young artists waited a free tour of the castle and the park “Hluboka nad Vltavou” combining unique architecture with magnificent manicured park do not leave anyone indifferent. 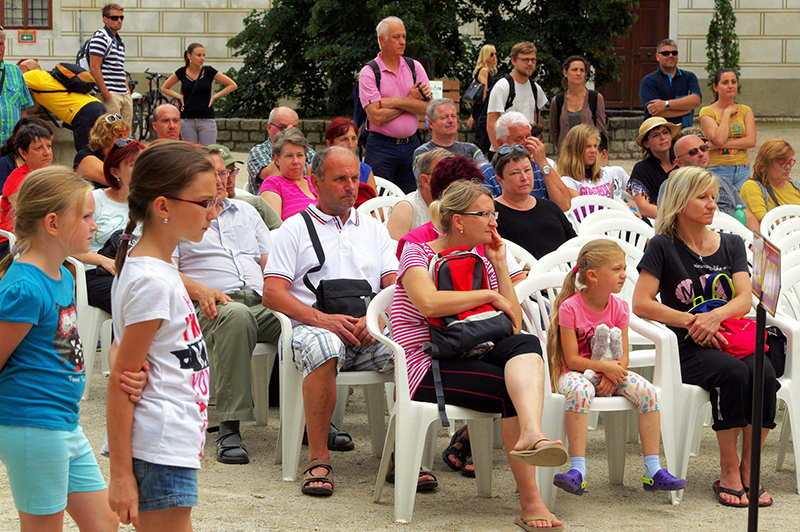 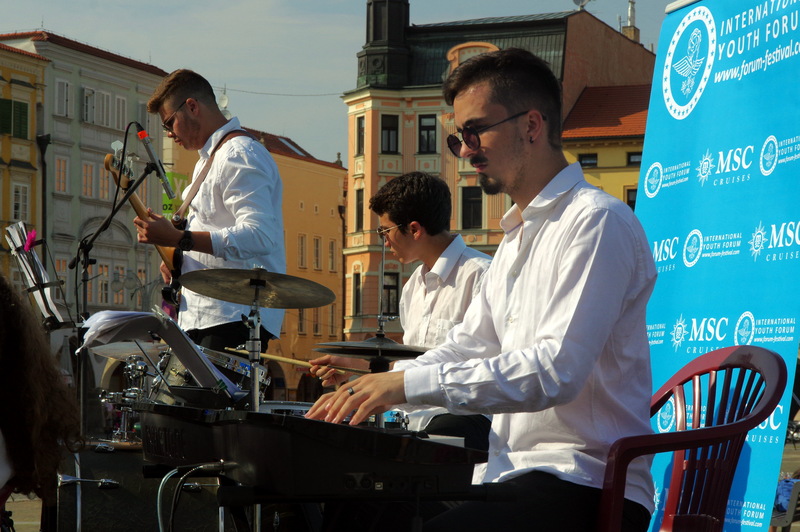 22.07.16 * XIV Festival “Metamorphoses castles -2016” was held at the magnificent scene in the center of Ceske Budejovice on náměstí Otakar. 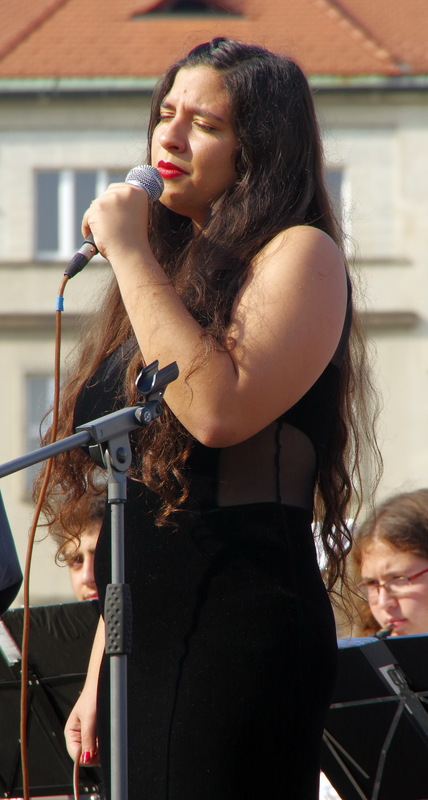 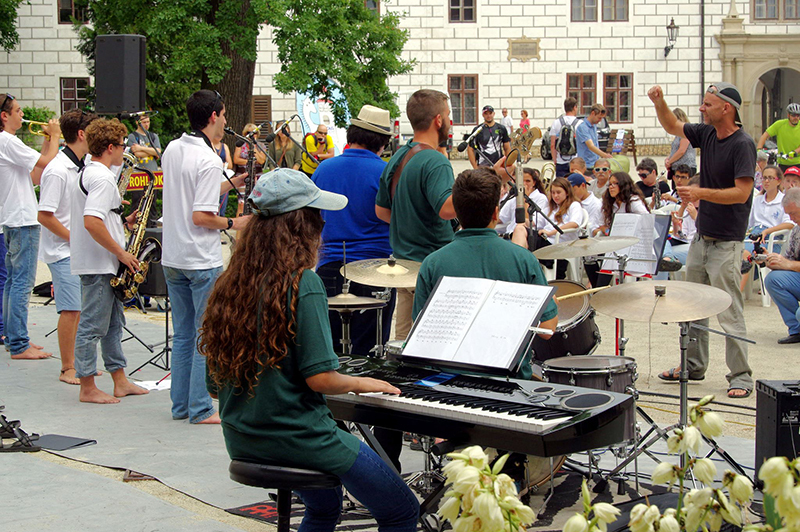 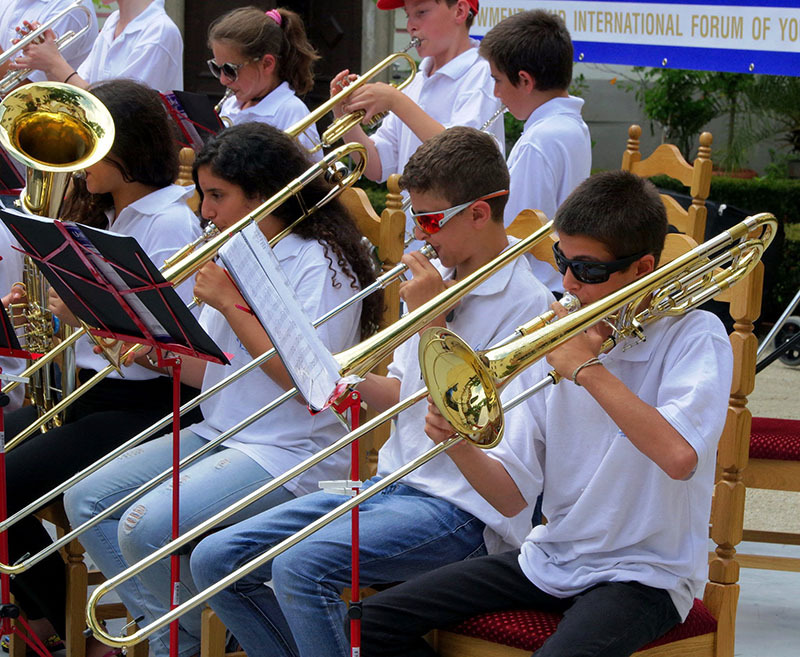 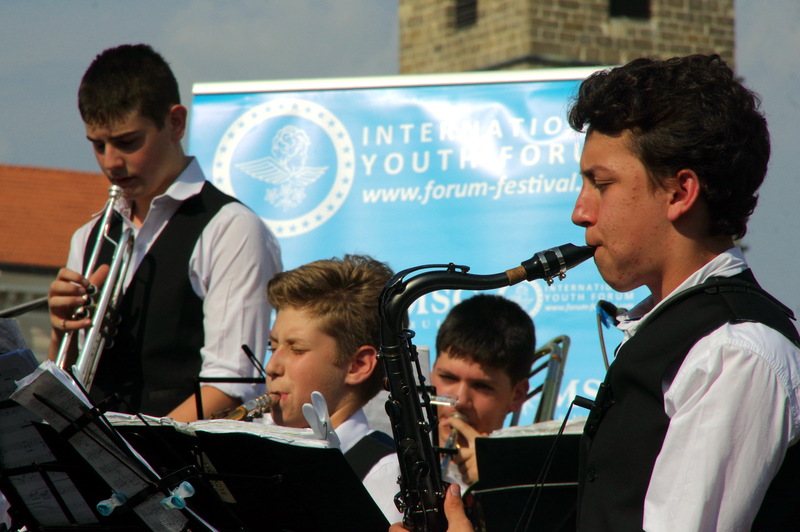 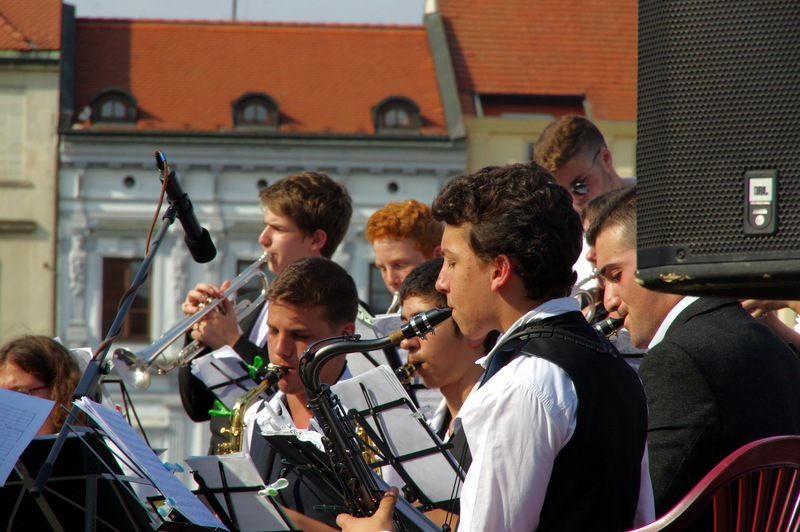 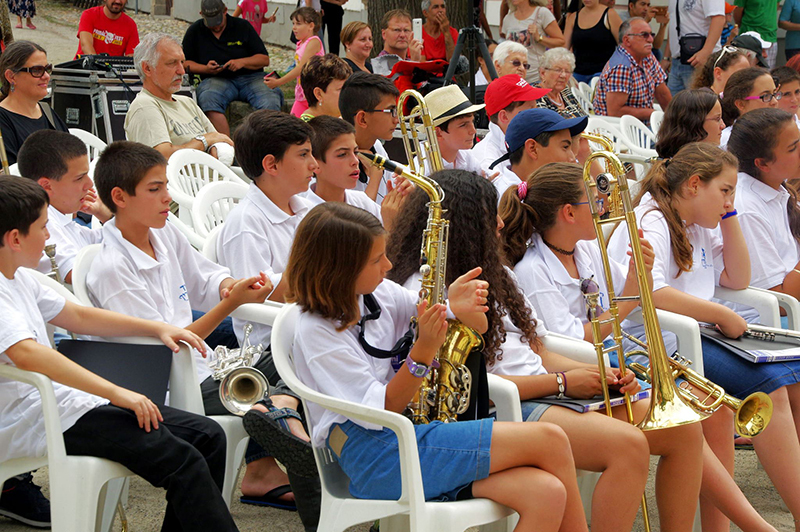 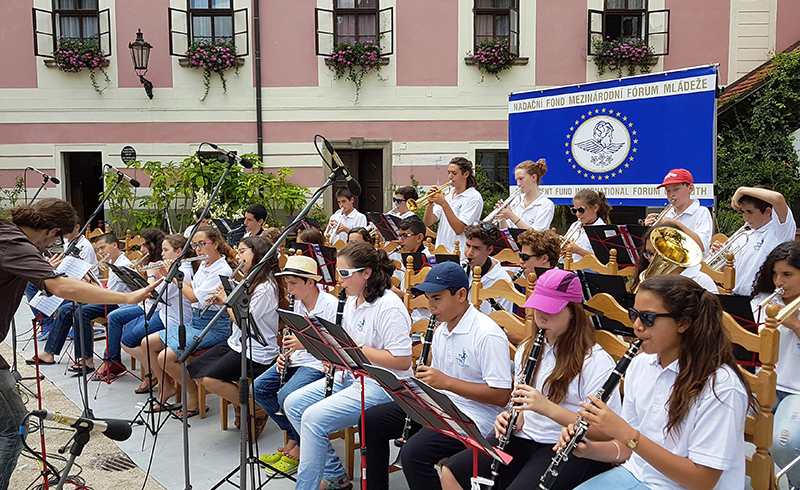 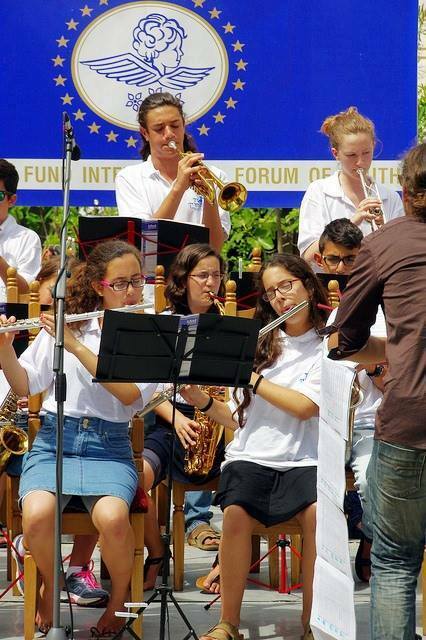 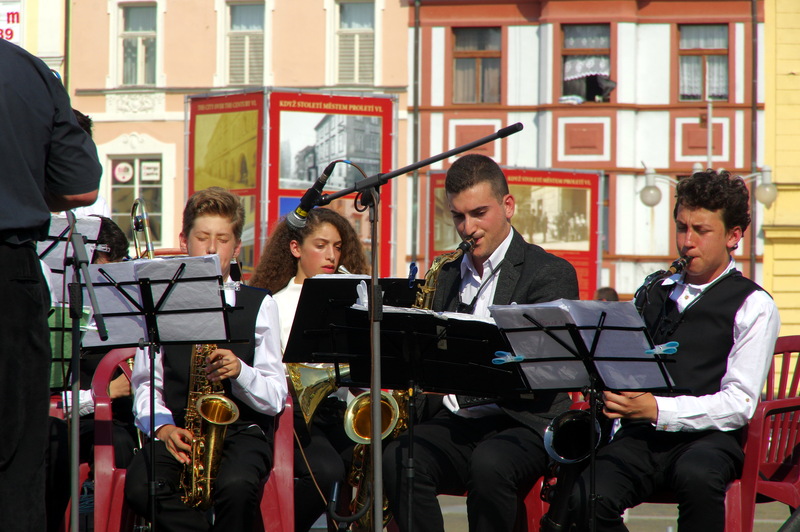 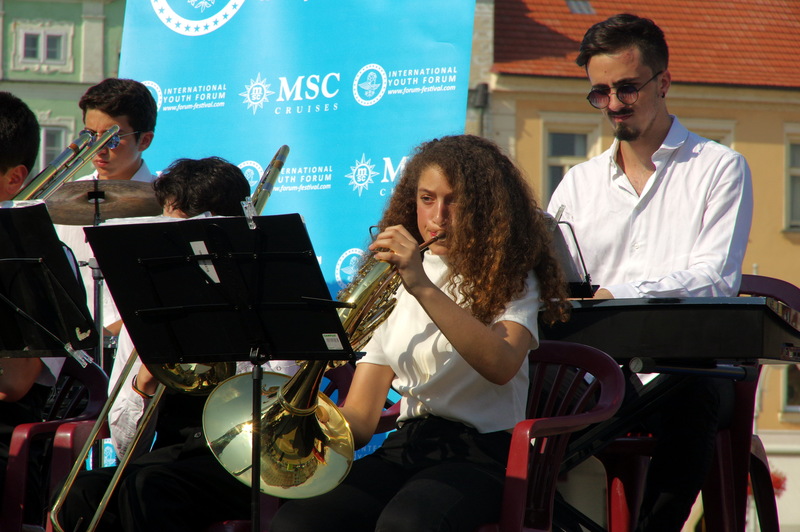 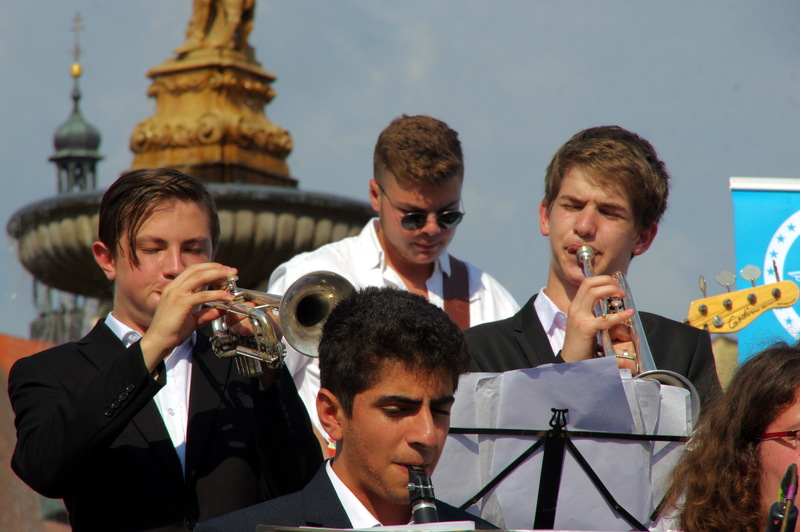 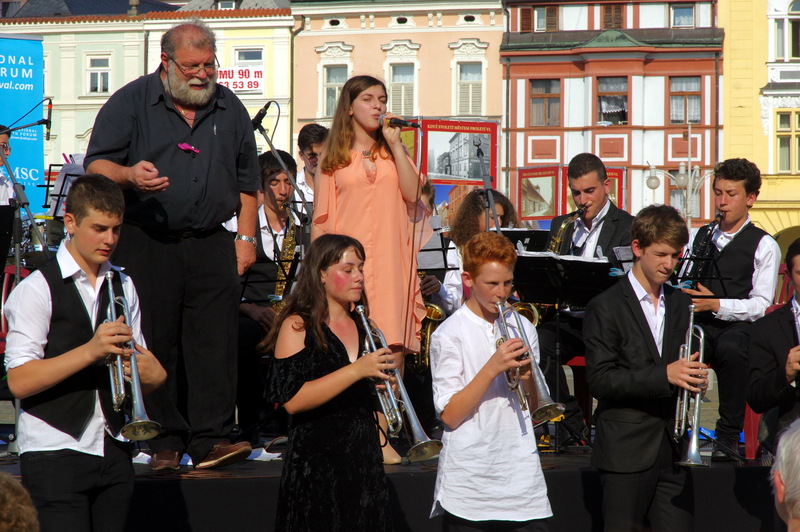 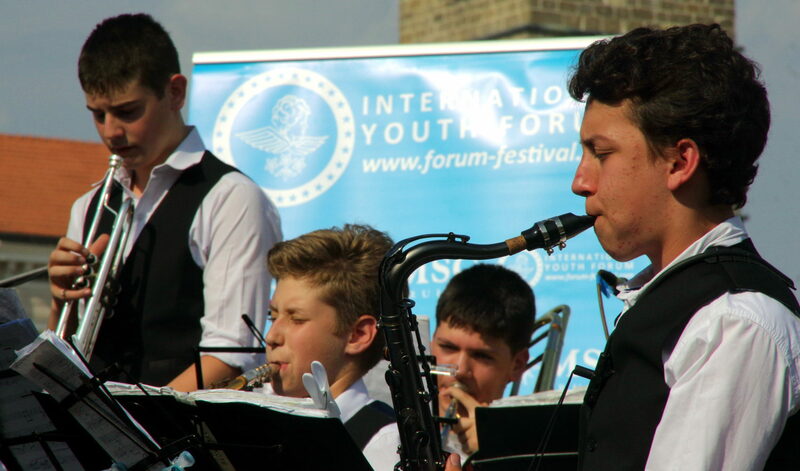 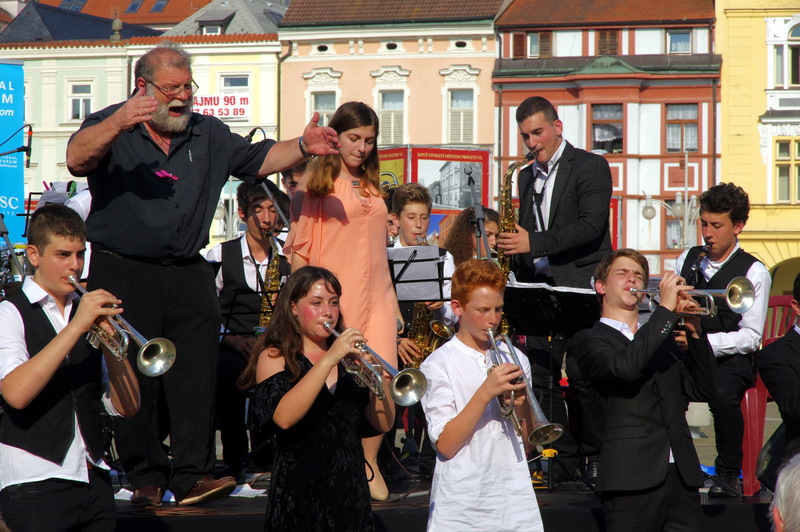 After shows programs teams: from Belgian, from Sweden, from Denmark, from Estonia, from France, from Netherlands, from Portugal, from Italy, the performance of the orchestra and jazz band of Israel was held with special drive. 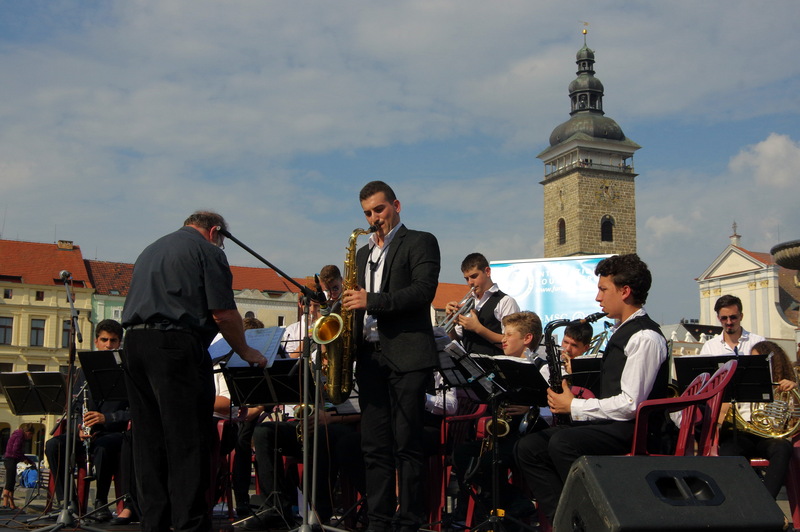 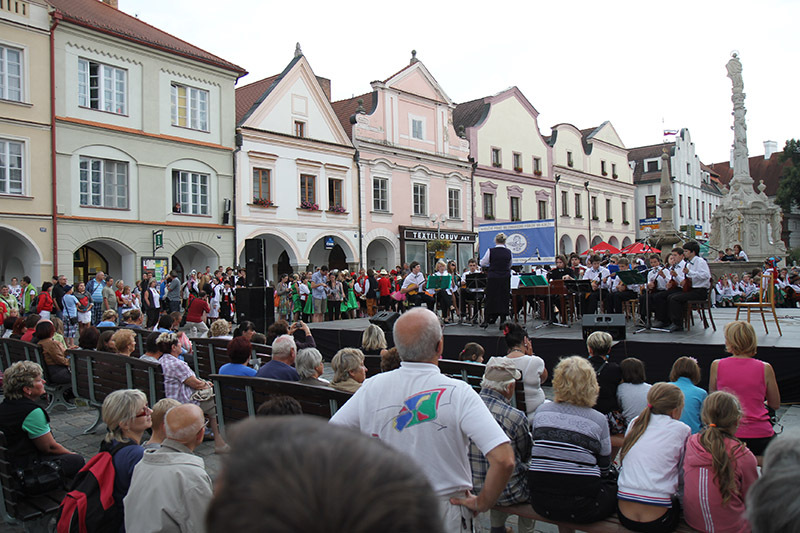 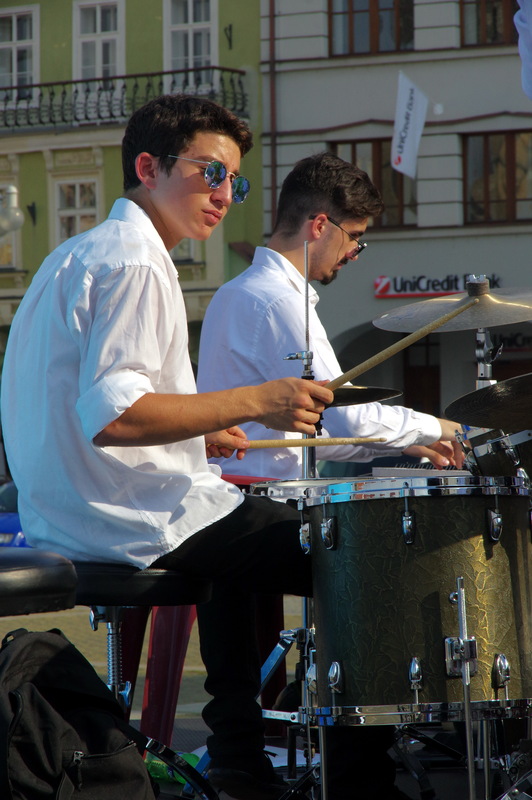 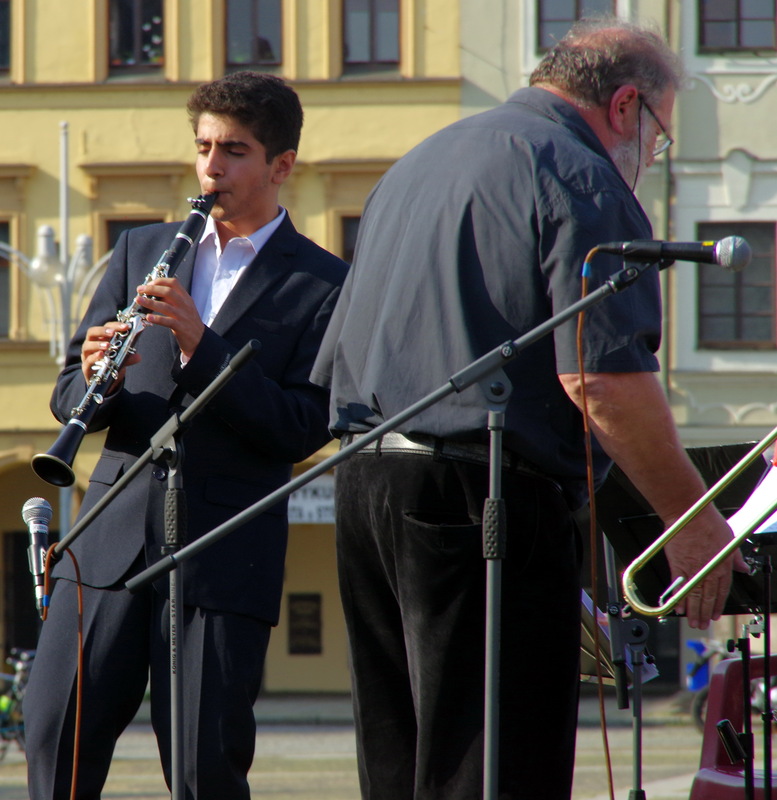 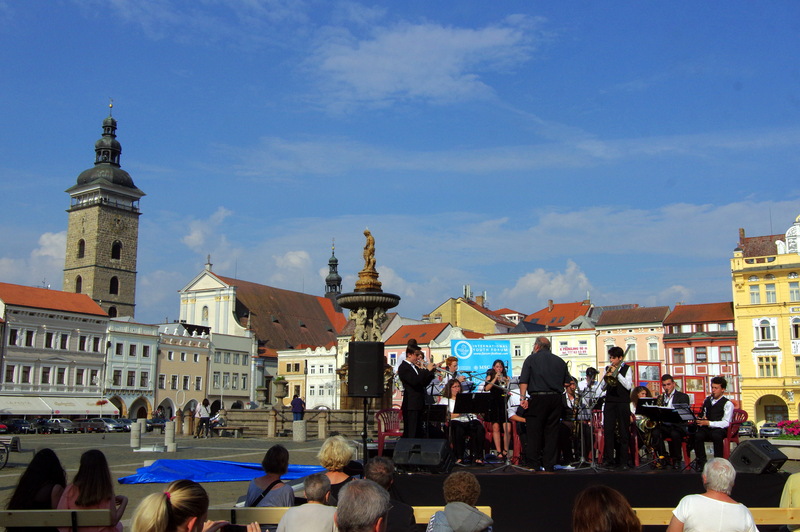 Even after the official part of the program, the guys for a long time did not leave the square Otakar . 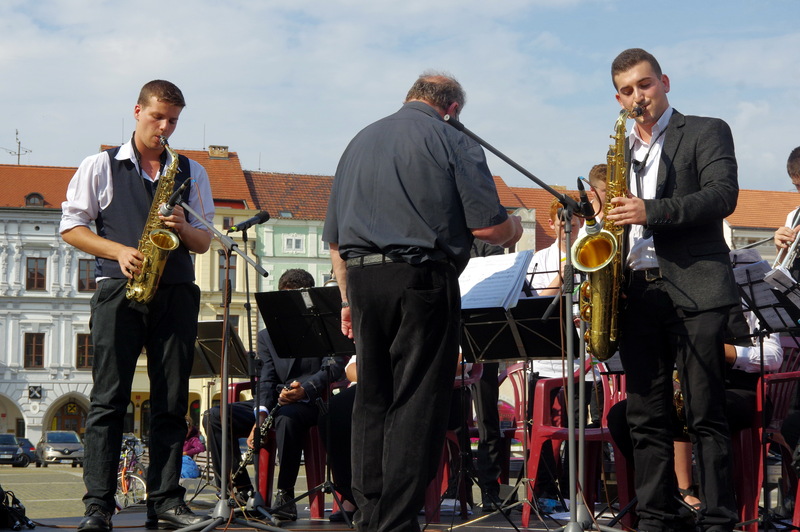 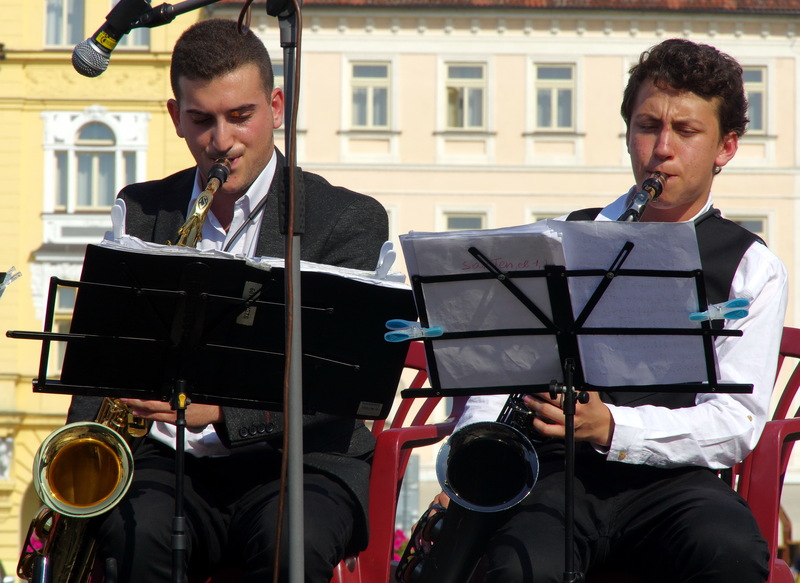 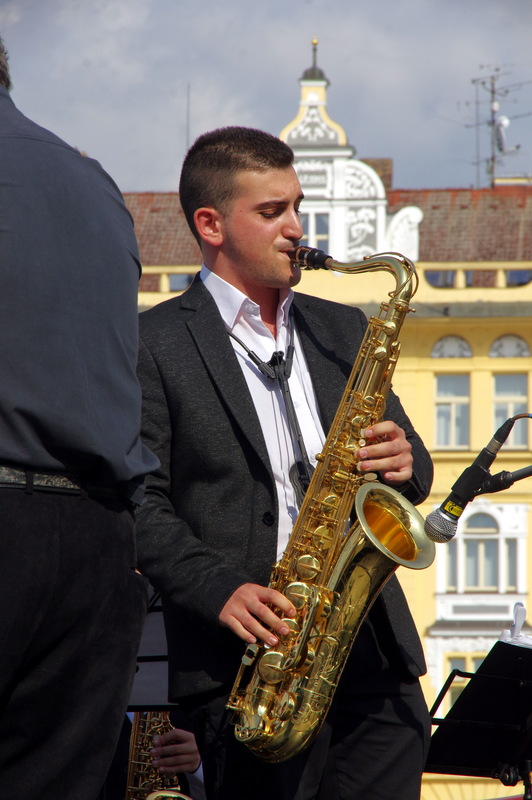 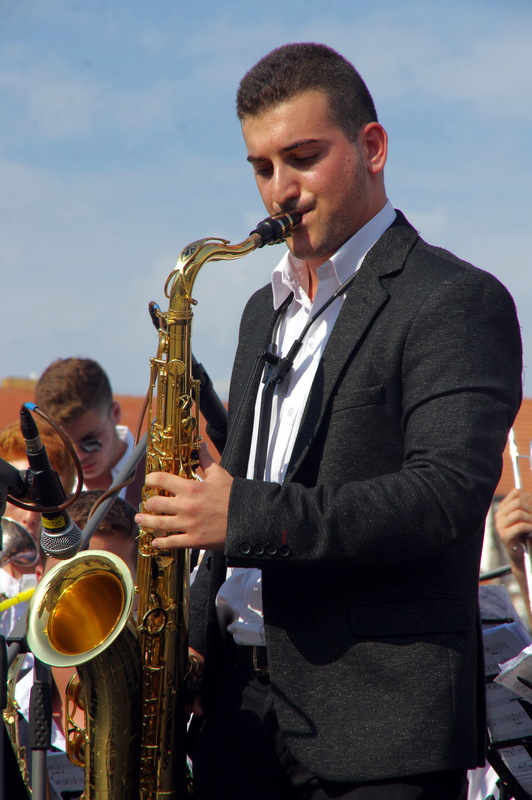 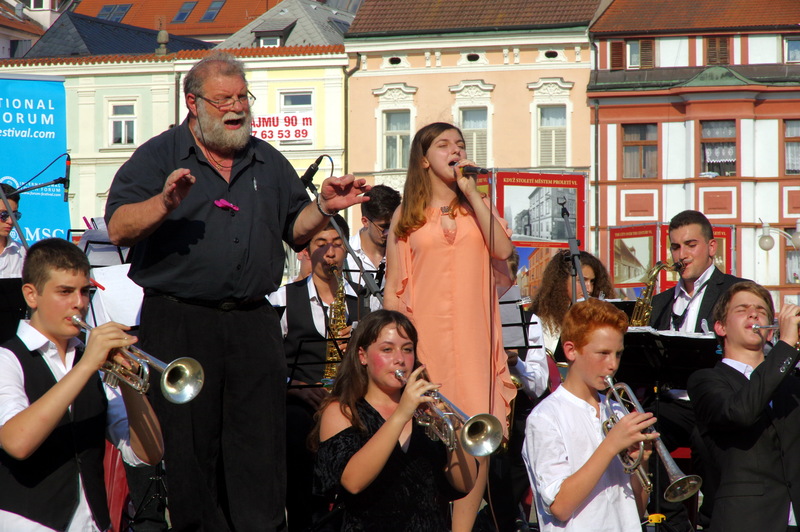 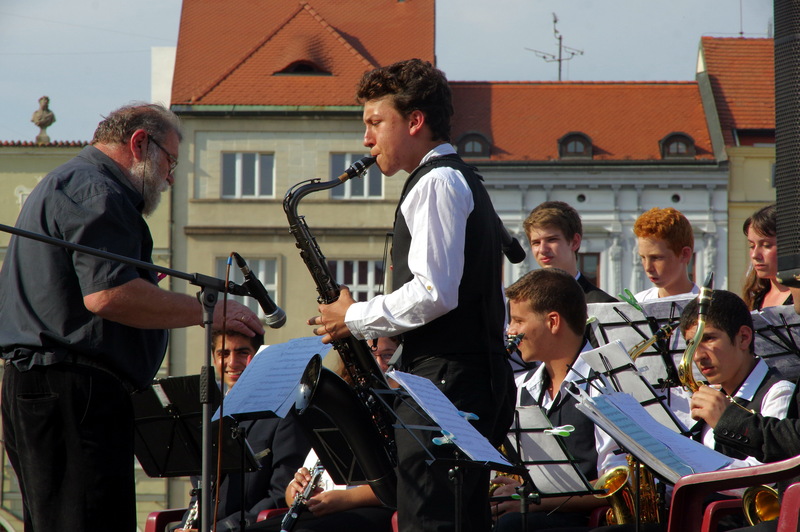 Saxophonist improvised, with him played clarinet and trumpet and joined numerous groups, danced to the beat of the music. 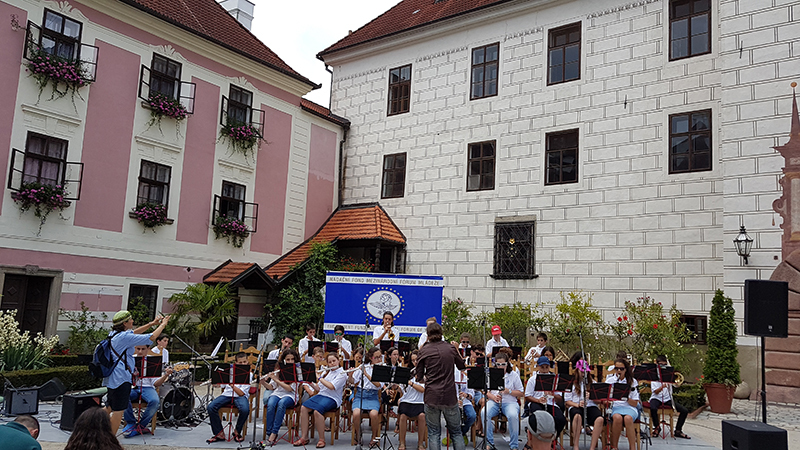 24.06.16 * The final day of XIV Festival “Metamorphoses castles -2016” started with a sumptuous Rozhemberg hall Trebon Castle. 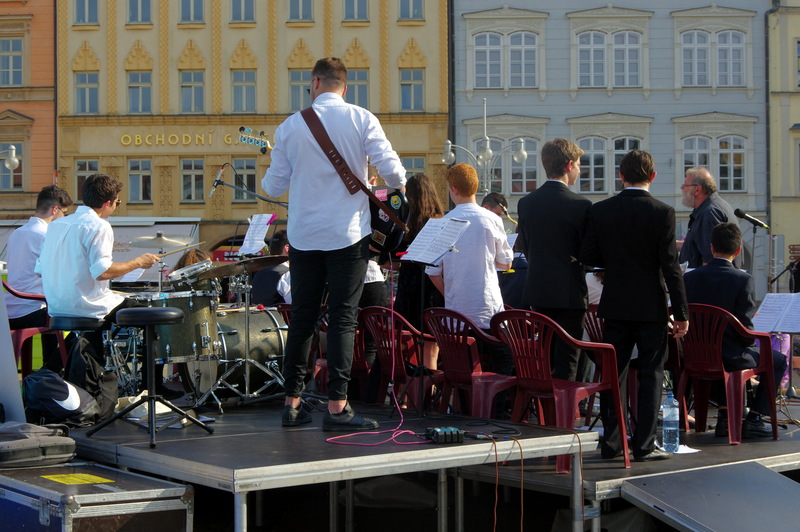 Where young artists could prepare Himself to the final performance. 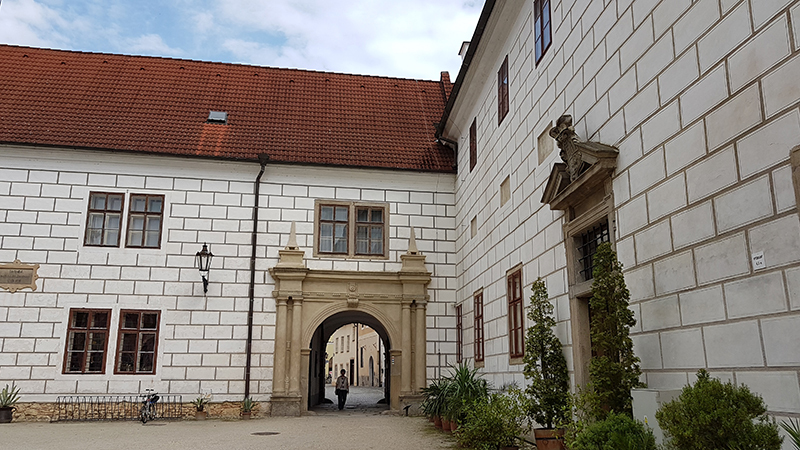 Castle Trebon is located in the center of the city and features a medieval simplicity. 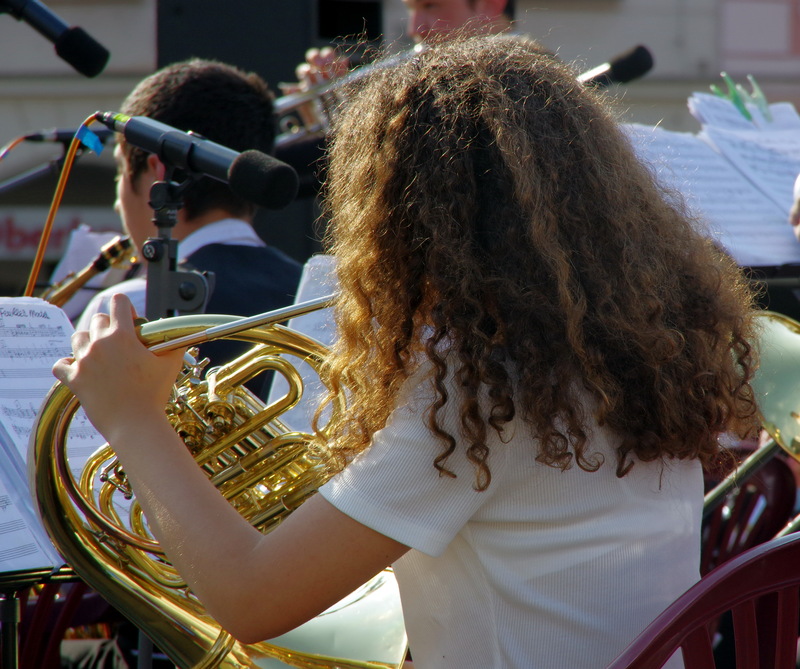 Therefore, he became the scene of the final concert. 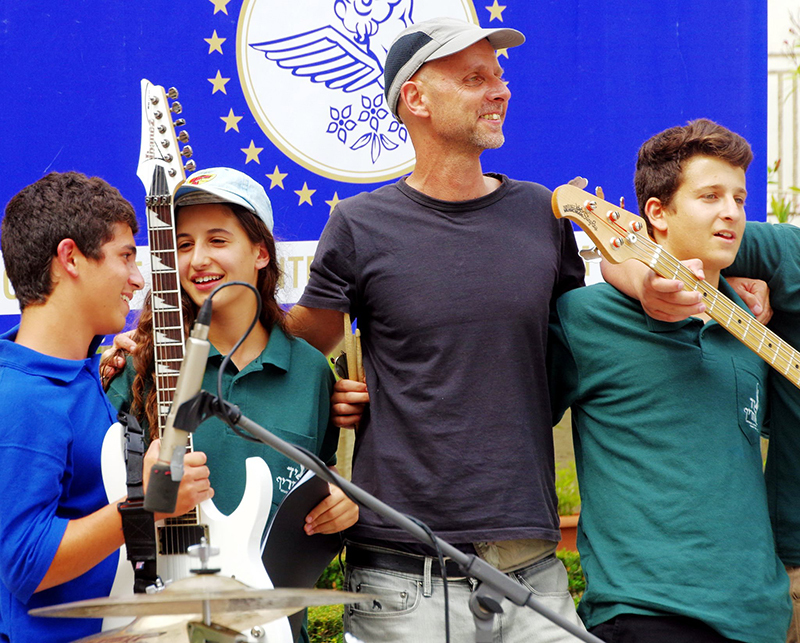 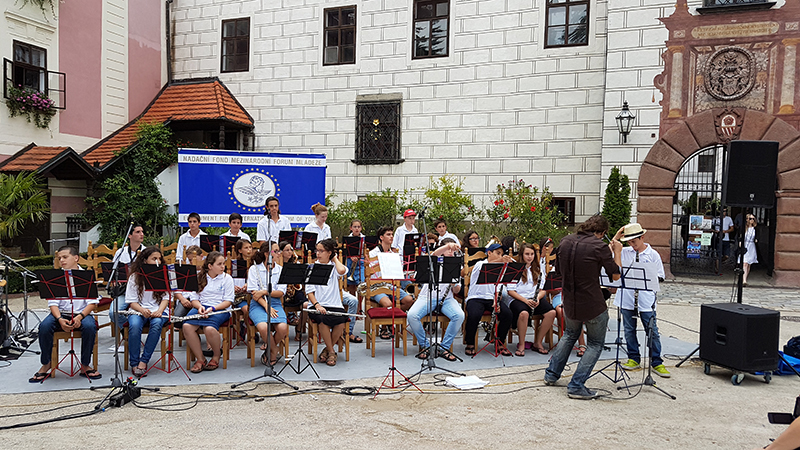 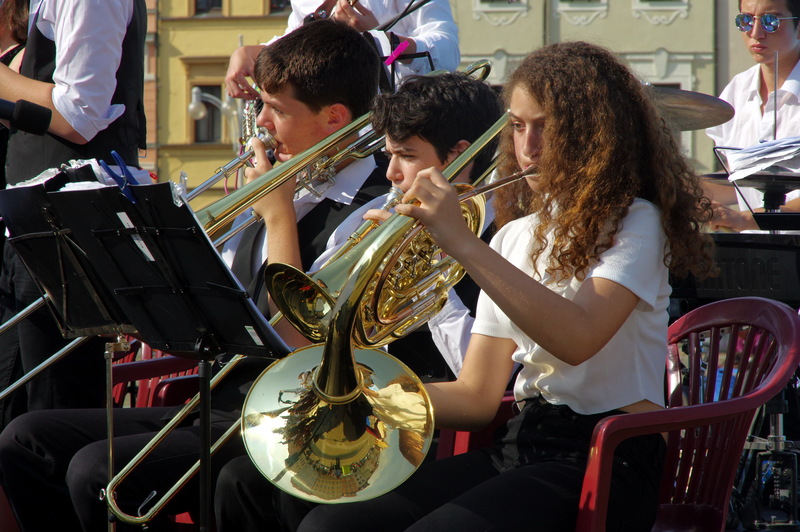 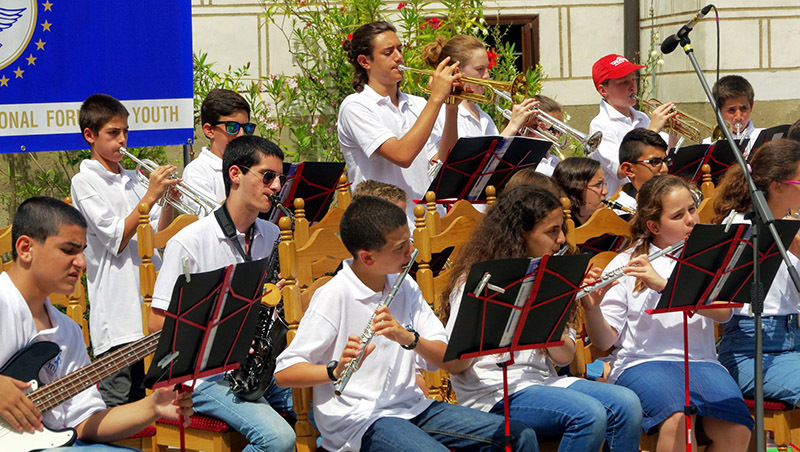 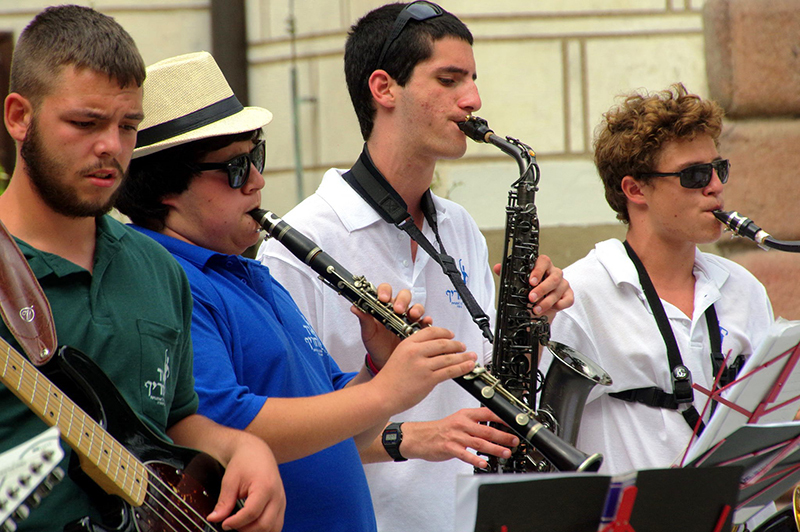 Sound orchestra Yad Harif from Israel drew a lot of public, which warmly welcomed the participants of the festival. 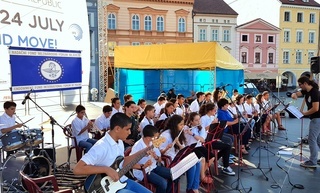 The audience warmly applauded performance of children’s orchestra. 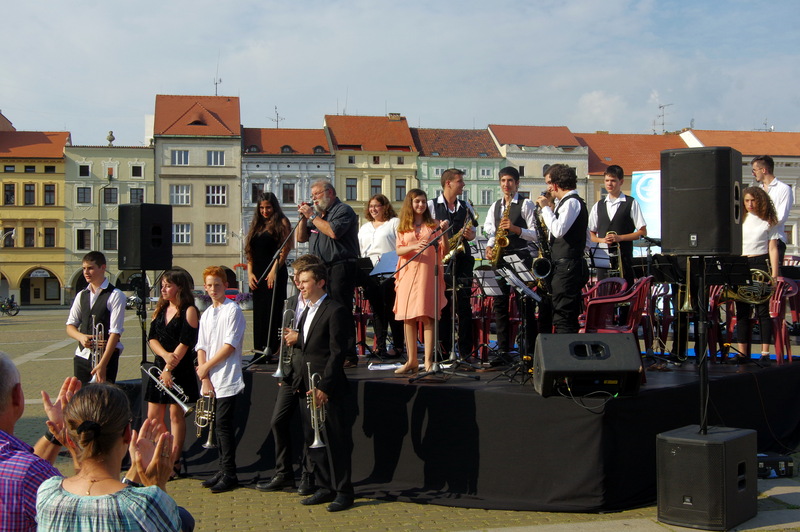 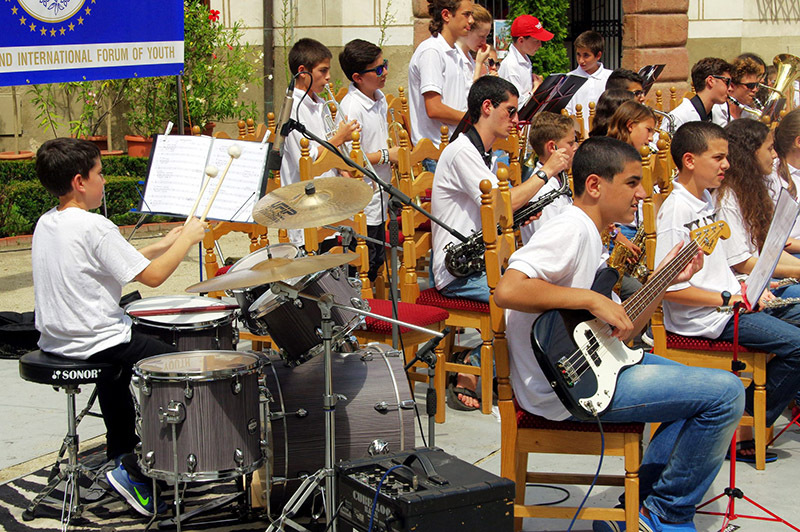 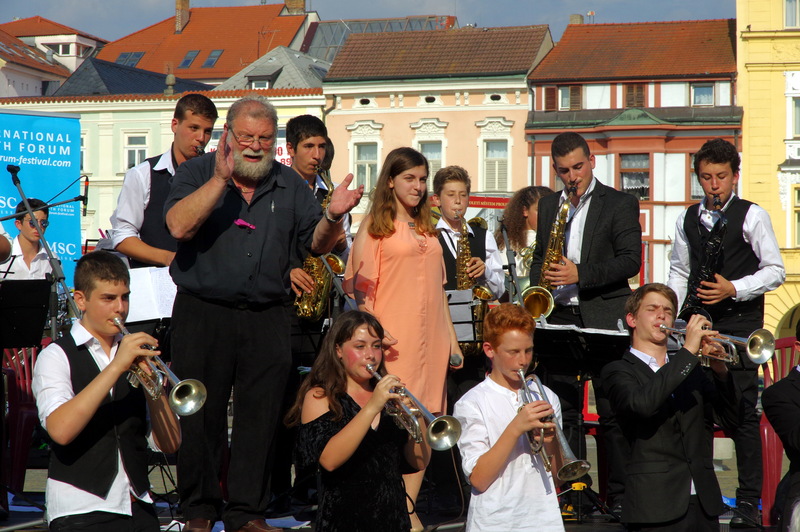 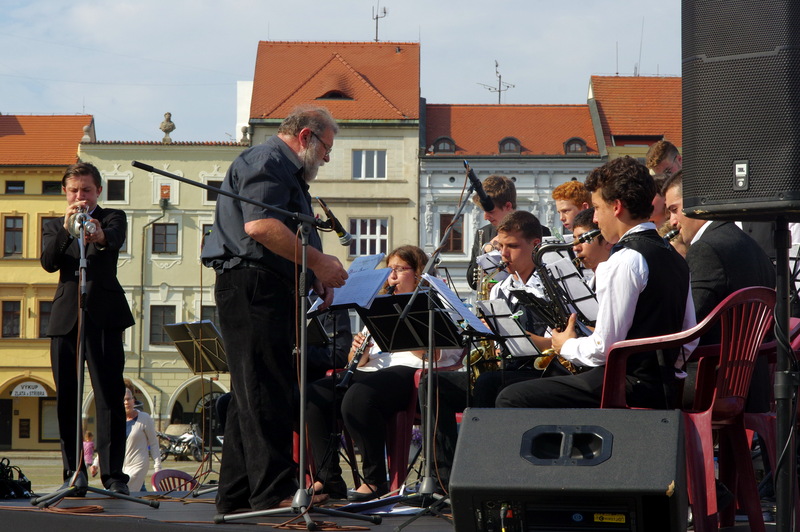 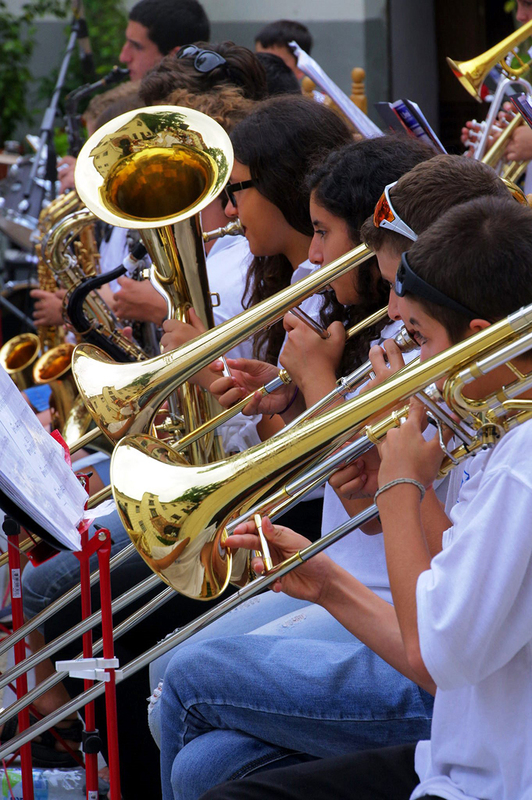 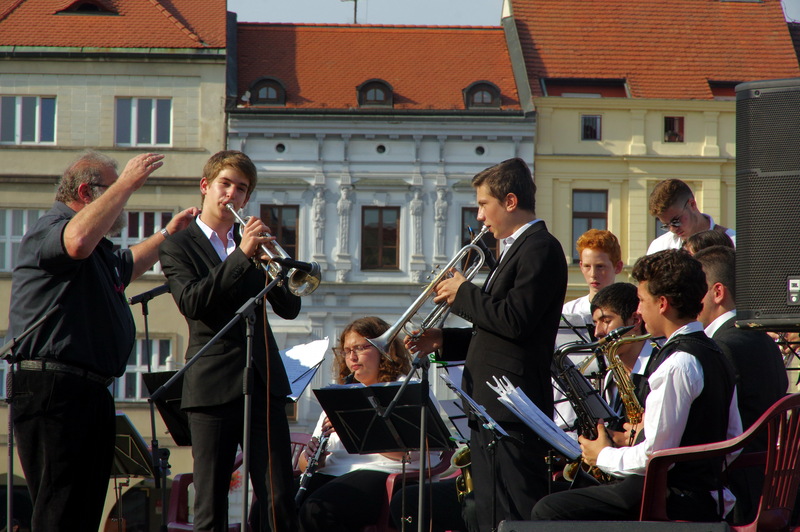 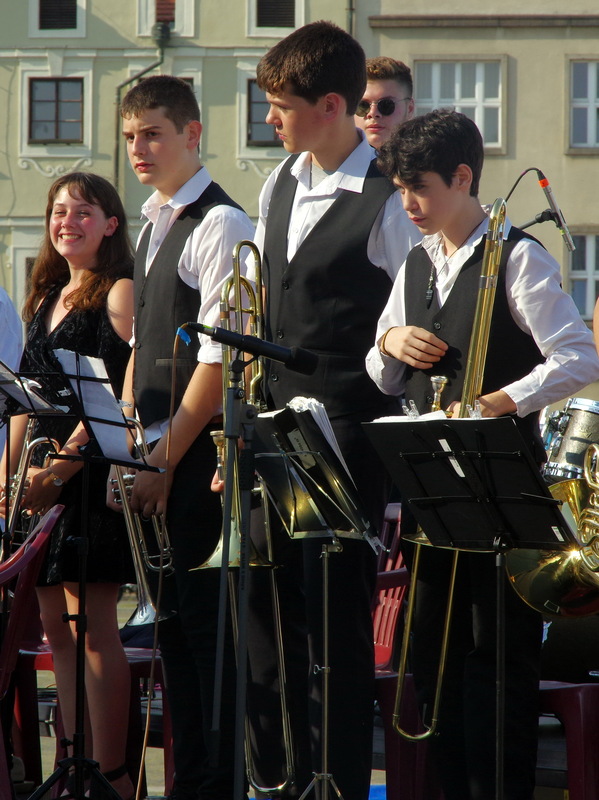 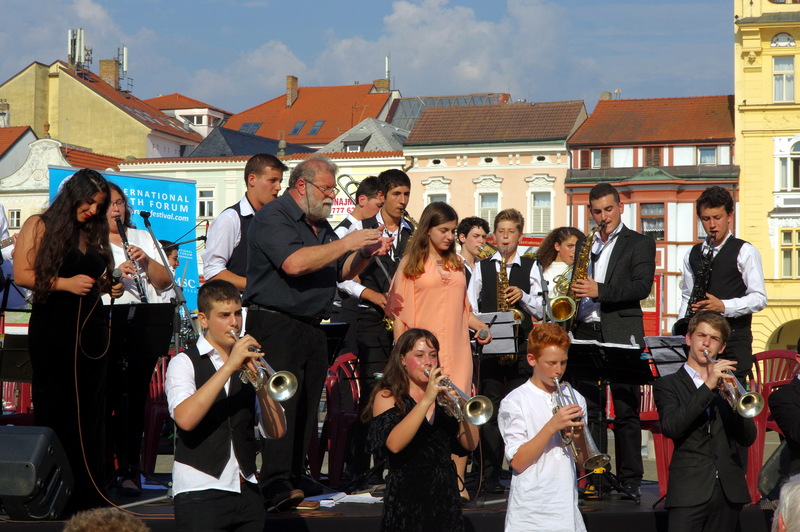 Culmination came when we started to play Jazz Youth Band. 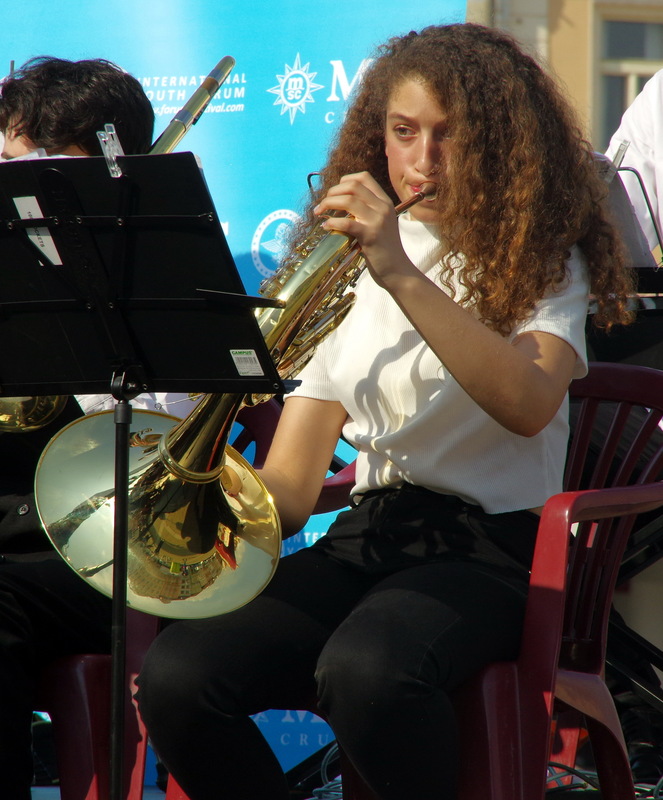 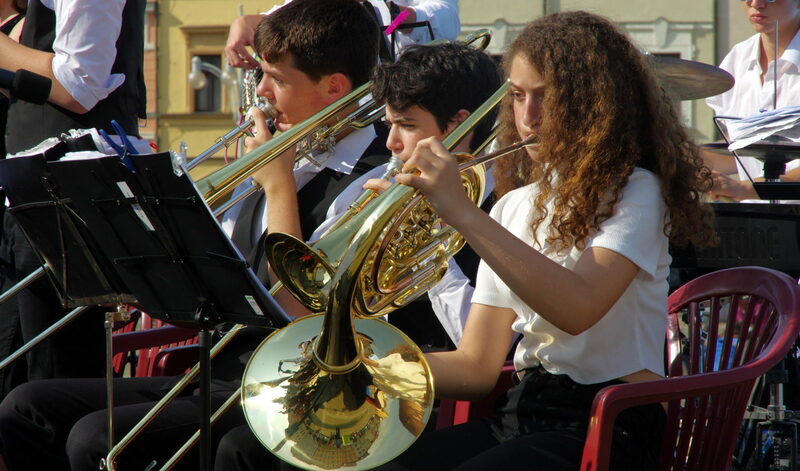 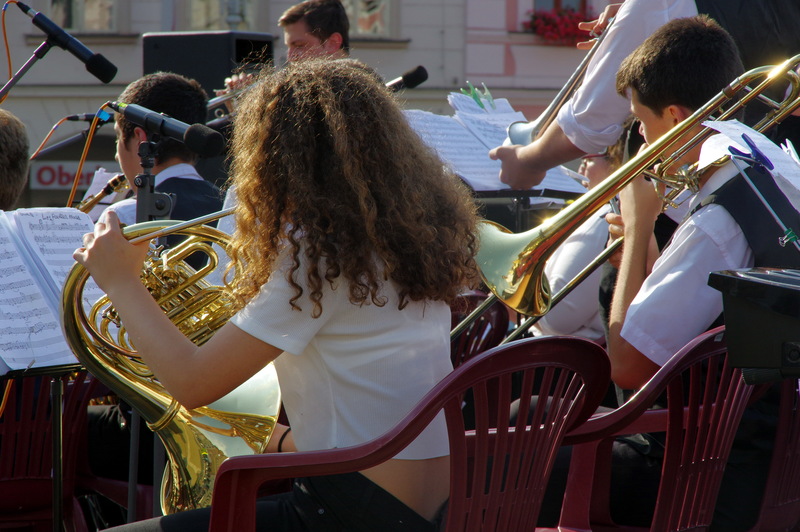 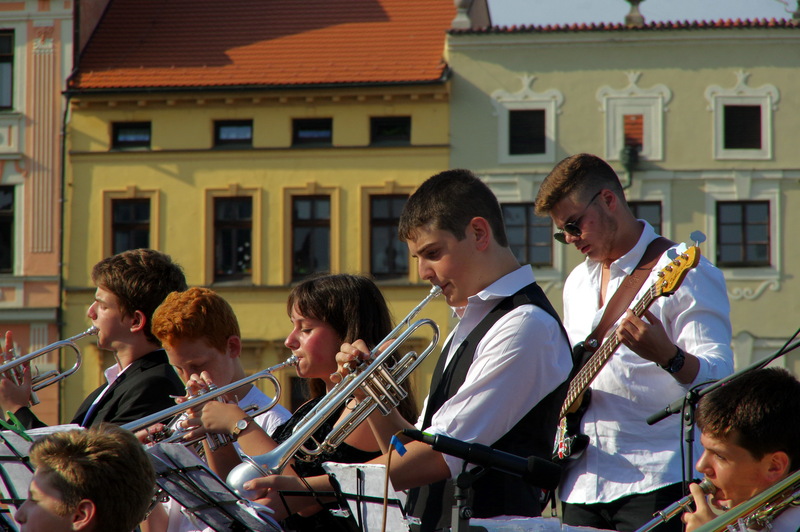 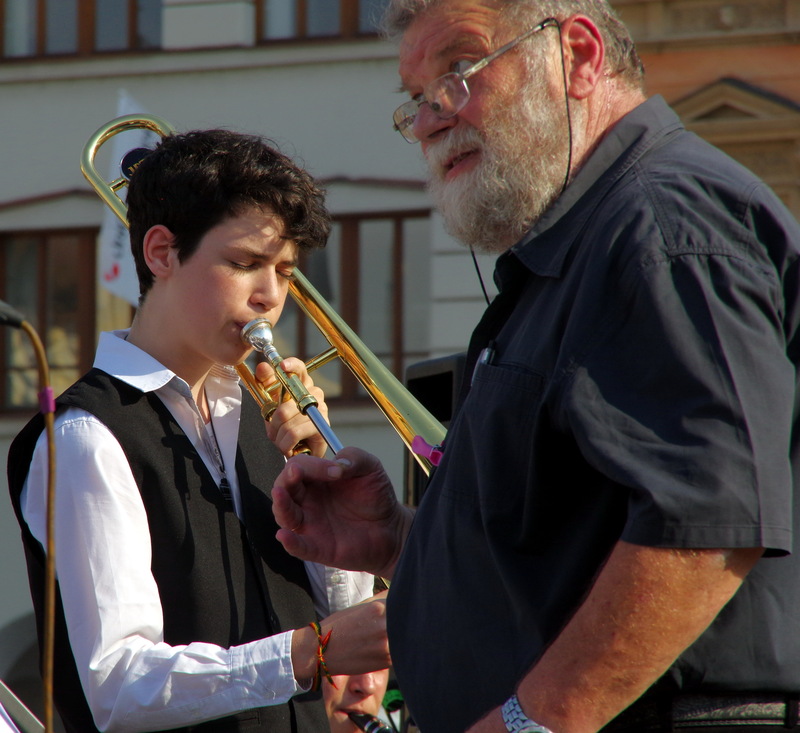 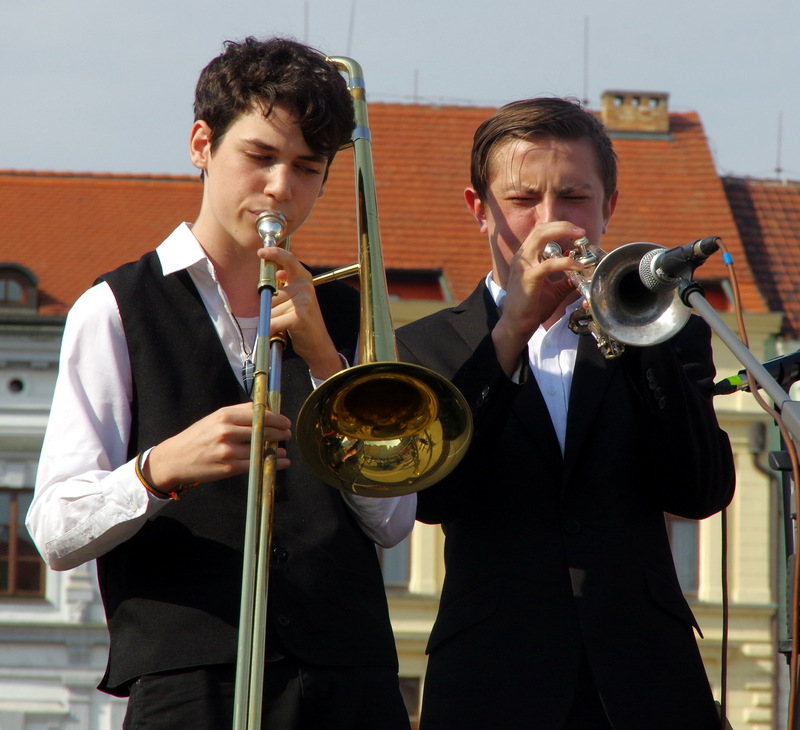 Art of young musicians animates locks, traveling in time, affect the heart and soul regardless of space.